Here we have the 2 Sided Fabric Door Wrap by Mydor. 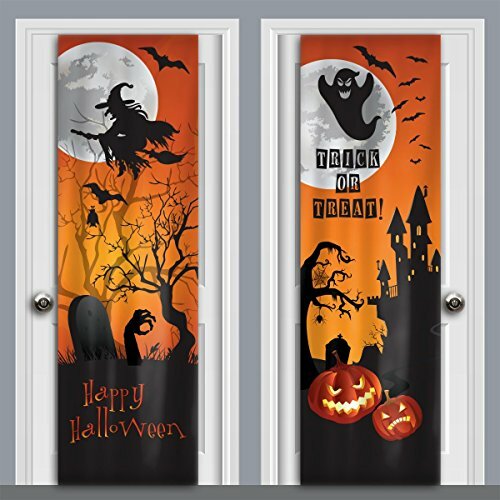 This door cover instills the classic Halloween feelings of spooky fun. It reminds me of a lot of the Halloween family movies that I grew up with. The best thing about it is that it’s dual sided! So when one side is scaring the trick-or-treaters, the other side entertains the family and friends for any Halloween gathering. Picture this, it’s finally arrived, Halloween Night! The streets are abuzz with groups of children dressed as ghastly ghouls, villainous vampires, and pretty princesses. 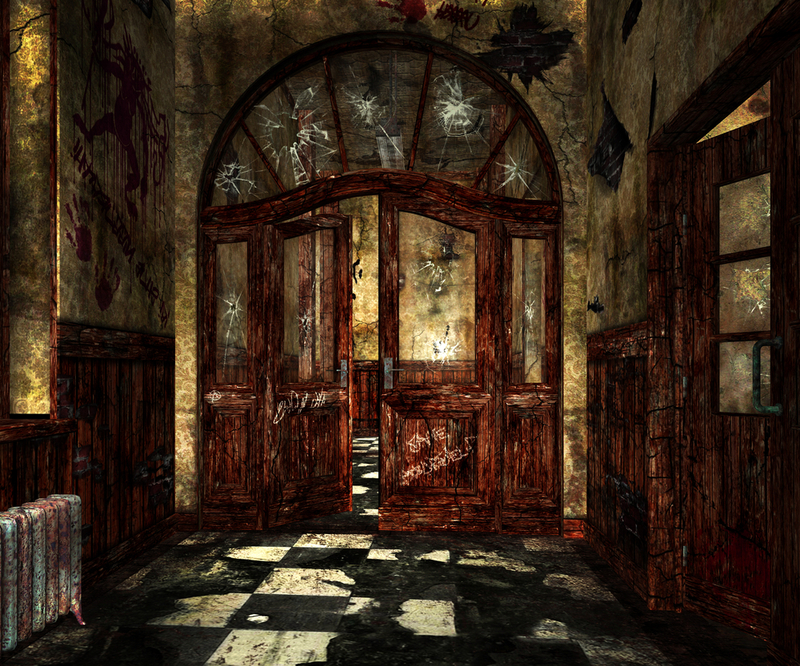 Your home is dressed as a haunted house, inviting the courageous young ones to venture forth to receive a trick! Or perhaps a treat! (We all know it’s almost always candy). Adorning your door is an ornate looking frame with a button on it that says, “Push To Ring”. Once pressed, a single glowing green eye opens to greet them. It says, “You rang?” in an ominous yet playful voice. 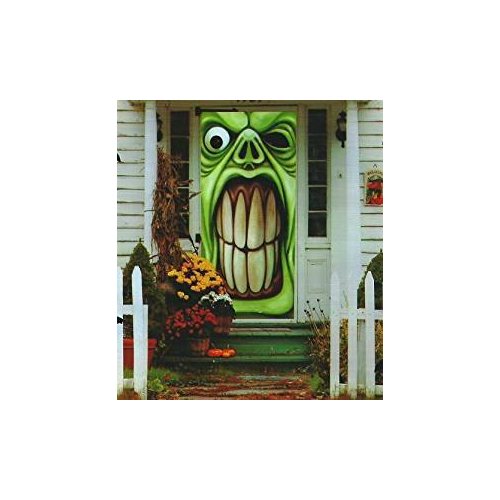 “Trick or treat!” The kids all yell before you open the door to give them their treats and send them on their way! 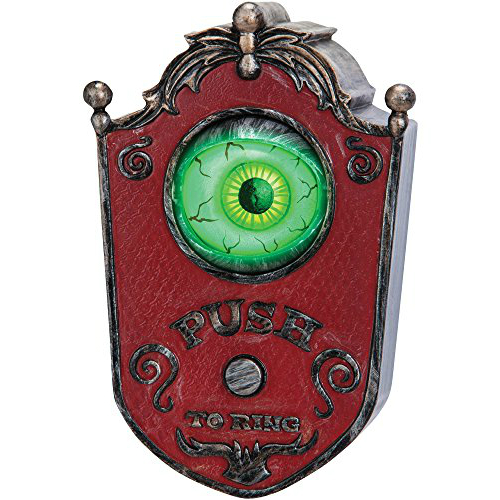 The Animated Doorbell Eyeball by Gemmy has a unique appearance that really catches the eye! Get it? It’s eyelid opens and closes while the eyeball itself individually peers around, observing it’s surroundings. Once it’s button is pressed, it speaks one of it’s many lines. 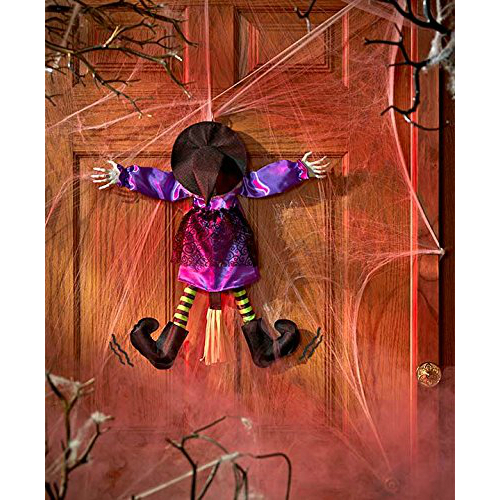 Nothing says Halloween like a Witch that’s crashed into your door! She operates off of 3 AA batteries and can be activated by sound. With her silly phrases and mischievous personality, she will bring laughs to all guests this haunting season!